Blockchain and distributed ledger technologies (DLTs) are often branded as disruptors – upstart technologies that aim to ‘eat the lunch’ of financial incumbents. As with most generalities, however, this idea falls apart upon observation. Startups are not the only entities researching the opportunities technology could unlock and entering the now-burgeoning market for blockchain solutions – established companies are entering the space, too. For example, London-based Earthport, an Internet payment infrastructure provider founded in 1997, is already choosing to embrace DLT technology by adding it to existing product lines. The cross-border payments specialist is now using the Ripple protocol as part of a new solution that yields insight into the problems major banks are facing in bringing their tech out of the lab and to the market. In a new interview, Earthport’s Daniel Marovitz – the firm’s in-house blockchain expert and president of its European division – explains that the firm’s new Distributed Ledger Payments Hub is a result of its belief that the technology could improve on or complement its existing services, and that technology itself is secondary to providing a better service to clients. The company, which already connects banks and payment aggregators, has identified deficiencies with current offerings – for example, that “traditional correspondent banking” is too slow, and that the need to wait three days for funds has caused “customer frustration”. 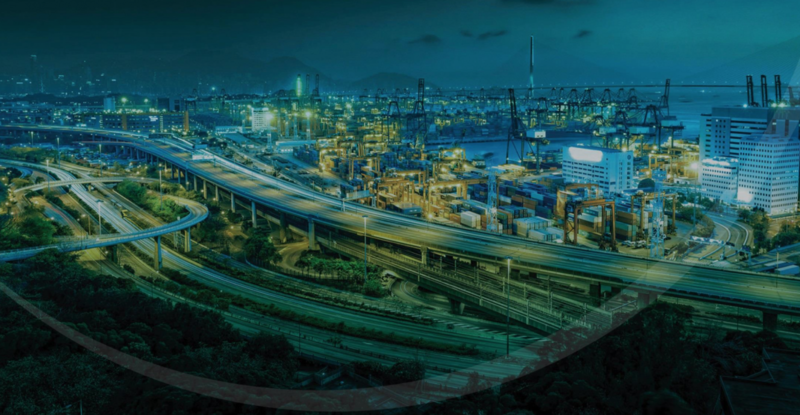 With this in mind, Earthport is venturing to test its market hypothesis, launching its DLT service complete with the kind of brochures you’d expect from a company with mature business lines. To Marovitz, Earthport can use distributed ledger technology to tap a potentially lucrative market: Financial institutions that have heard about the benefits of blockchain, but are uncertain about what steps to take or how to integrate it into their services. Marovitz believes there are two reasons financial institutions aren’t taking their products out of the labs – fear of the unknown and compliance. “They see the vast majority of central banks and regulators are quiet [about blockchain]. The banks are terrified that as promising as it seems, they’re going to get into trouble,” Marovitz added. To this end, Marovitz sees the Distributed Ledger Payments Hub as a missing link – a product that can capitalize on the established trust able to delivered by a company that has a history connecting banks to payment technologies. Earthport quite simply sees value in serving as a business and compliance layer built on top of a nascent technology, performing data collection for know-your-customer (KYC), anti-money laundering (AML) and politically exposed persons (PEP) screening. Earthport doesn’t see these services as competitive to Ripple, but complementary to its tech-first approach to the market. “Ripple has no intention of running those kinds of pieces. They want to manage the ledger and the crypto complexity,” Marovitz said. Earthport provides three models for how banks and financial intuitions can use its DLT service depending on their comfort level with interacting with the Ripple protocol. For starters, it offers to integrate a client directly with Ripple. In this instance, the client would set up a Ripple wallet, host its own “DL server” and initiate payment directly via the Ripple protocol. The level of assistance provided increases from there. 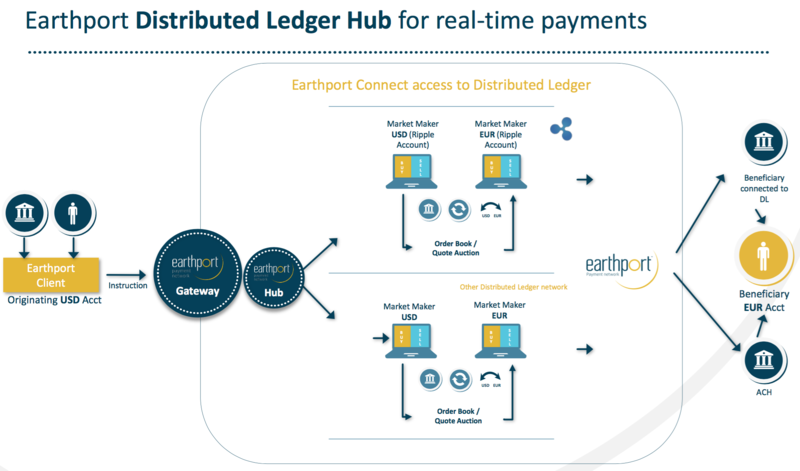 When acting as a “distributed ledger service bureau”, Earthport agrees to host the server that will connect to the protocol and initiate any fund transfer via its API. The firm is also offering to “indirectly” connect clients to Ripple, with Earthport even owning the wallet under this third option. As an added upsell, Earthport boasts that users don’t have to interact with market makers on the Ripple network at all. 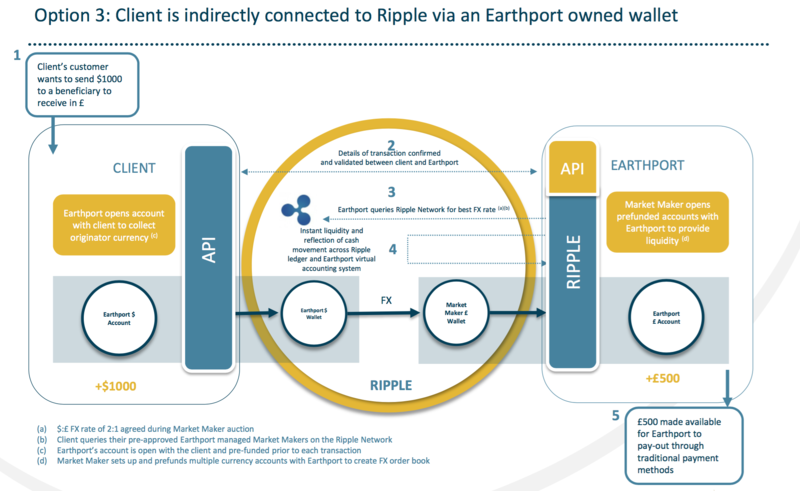 Earthport’s marketing materials tout that the company approves and screens market makers that can then acquire and offload the necessary XRP (the native token on the Ripple network) to transfer the value from one currency to another. If only one party is “Ripple enabled”, Earthport says, the transaction is then completed via traditional rails, but with improved overall efficiency. Still, Marovitz says the company is seeing some interest and has reasons to believe “all its partner banks” will integrate the technology, as its FAQ sheet on the subject suggests. “There are 10 to 15 banks that want to initiate proof of concepts (POCs) with us, and we hope to have a European bank in a POC with us now,” Marovitz added. A clear theme is also evident from Earthport’s approach, in that its sales literature actively distances the product from bitcoin and cryptocurrencies. This is despite the fact that the product uses XRP, which, though branded differently due to the Ripple network’s use of trusted transaction validators, is a publicly traded cryptographic token that runs on a blockchain-like system. In sections related to market makers, the text hints that the Ripple network requires a publicly traded asset, but softens the language. “There are currently 45 institutions that are market makers, meaning that they run auctions to determine the ask/bid rate for a transaction in a given set of currencies,” it reads. Marovitz attests that Earthport intends to expand the number of blockchains it offers access to as the product matures, but as for whether the bitcoin blockchain could become one of those options, the company suggests it believes this is unlikely.